AeroFlite is an authorized distributor and value-added facility for Amphenol Air LB. Amphenol Air LB is a worldwide leading manufacturer of high performance standard and custom interconnect solutions and accessories. 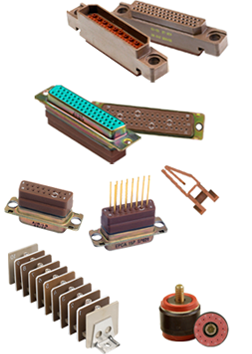 Amphenol Air LB designs, manufactures, and markets electrical, electronic, and fiber optic connectors, interconnect systems, and coaxial and specialty cables. Amphenol Air LB’s primary end markets are Aerospace, Military and Communications. Intermateable and interchangeable with other ARINC 810 galley connectors, AeroFlite offers Amphenol Air LB’s APeX galley connector. A rectangular and robust connector, the APeX galley connector uses overmold technology that improves safety and reliability and sets it apart from the rest. It also features a guide pin for quick and simple blind mating.